Thursday, August 2, 2018 -- Since loyalty is dead in travel and the nation's airlines and hotels now treat every transaction as transactional, it's time to turn the metaphoric tables. Get a new credit card, score the increasingly large acquisition bonuses, then get the next card for its acquisition bonus. Assuming you don't roll over and pay interest, the strategy is the best and cheapest way to roll up masses of miles and points. It's the equivalent of found money since you're not spending anything you otherwise wouldn't spend and you earn far more miles and points than you would by flying and staying in hotels--or charging to your existing cards. Let's not go into background here except to say that airlines and hotels are increasingly dependent on revenue from credit card issuers and they repeatedly squeeze banks for more cash every time a contract is up for negotiation. In order to justify the growing billions of dollars they pay to airlines and hotels, banks have to convince us to take more cards and spend on them. The banks' best weapon remains a blunt instrument: big upfront bonuses of miles and points. Let's not even talk about some realities: Airlines don't have a back-up plan for the day when the credit card cash gravy train ends (and it will). Meanwhile, banks are dealing with card fatigue as the pace of new sign-ups has slowed in recent years. If we play our cards right, right now, we win and they lose. And they deserve whatever financial drubbing we can inflict on them. Let's get ours and leave them to pick up the financial pieces later. And don't think I'm talking about mindlessly earning miles and points and banking them. I'm not. Earn the points--and then spend them. Fast. There's no benefit in holding on to miles and points because, when this bubble bursts, values will plummet. Earn now, burn now. Yes, I also practice what I preach: I just planned a weekend getaway and paid for the room with points--not a single one earned by staying in the chain's hotels. It's all acquisition bonuses from credit cards. My holiday in Europe in January will be in business class--using awards totally funded by credit card spend. Not a single mile was earned by flying the airlines involved. The most costly option on this list is the most lucrative: 100,000 Membership Rewards points for an American Express Business Platinum. You need to spend $25,000 on the card in the first three months for the full bonus or you can score 50,000 points for the first $10,000 in charges. The catch: a $450 annual fee. You also must grab this offer by August 8. There's also a limited-time offer--apply by October 31--for the Starwood Preferred Guest Business Card. But you can grab 100,000 points (they'll be Marriott points, of course) for $5,000 in spend on the card in the first three months. And the $95 annual fee is waived in the first year. This card will remain in the portfolio when Marriott combines its frequency programs later this month and Chase gets personal cards and Amex gets the business card and a soon-to-be-unveiled "luxe" card. One card that will disappear: the Amex personal Starwood card. While it's still on offer, it'll give you 75,000 points for $3,000 in spending in the first three months. The annual fee ($95) is waived in the first year. Barclay, the huge British bank, isn't nearly as large a card issuer in the U.S. market as it would like to be. It has JetBlue Airways and Hawaiian Airlines and, most prominently, a piece of the American AAdvantage business. It has just bumped the acquisition bonus on its AAdvantage Aviator Red card to 60,000 miles. You don't even have to hit a minimum spend threshold. Simply make a purchase and pay the $95 annual fee. Chase has been refreshing its travel-card portfolio in recent months, so there are several cards worth considering for acquisition-bonus purposes. For InterContinental Hotels, the IHG Rewards Club Premier will earn 100,000 points if you spend $3,000 in the first three months. The annual fee is $89 and is not waived. For Hyatt, the new World of Hyatt card offers a total of 60,000 points. The two-tier come-on is 40,000 points for $3,000 in spend in the first three months and 20,000 more if you spend $6,000 in six months. The $95 annual fee isn't waived. And remember, Hyatt points have outsize value. The 60,000 points are worth two free nights at its best hotels worldwide or as many as 12 nights at its least-expensive properties. If it's airlines that, um, float your boat, consider the Southwest Rapid Rewards Priority card. Its introductory offer is 65,000 points--40,000 for $1,000 of spending in the first three months and 25,000 more for $15,000 of spend during the first year. The annual fee is $149. Or for $99 a year, the Southwest Rapid Rewards Business Premier card earns 60,000 points if you spend $3,000 in the first three months. If you want to play in Citi's corner of the American AAdvantage universe, consider the Citibusiness Platinum Select. It awards 70,000 miles after $4,000 in spend within the first four months. The $99 annual fee is waived for the first year. Like Citi's ThankYou points, which transfer to almost as many carriers as Amex Membership Rewards and Chase Ultimate Rewards? The latest offer is 60,000 ThankYou points for taking the Citi ThankYou Premier. You must spend $4,000 within the first three months to earn the bonus, but the $95 annual fee is waived in the first year. Notice that I did not discuss the various strengths and weaknesses of the various cards or their long-term perks and earning potential. That's not what this is about. This is about "churn," scoring acquisition points, then moving on to the next card and the next opportunity. While it's always wise to segregate spending and use the best card for each particular purchase, you surely have a chunk of general spending that isn't earning a category bonus. That's why you should always have a card in your wallet strictly for the acquisition bonus. Once upon a time--in this case, about five years ago--banks didn't worry about travelers chasing an acquisition bonus and moving on. It was a rounding error, they claimed. No more. As our loyalty to any hotel chain or any airline has waned, our willingness to swap out cards for tactical advantage increased dramatically. Banks were beginning to get dinged, so now there are some limits to our movement. Chase has a policy called 5/24. It essentially bars you from a new Chase account if you've opened five other credit cards (from any bank) in the past 24 months. 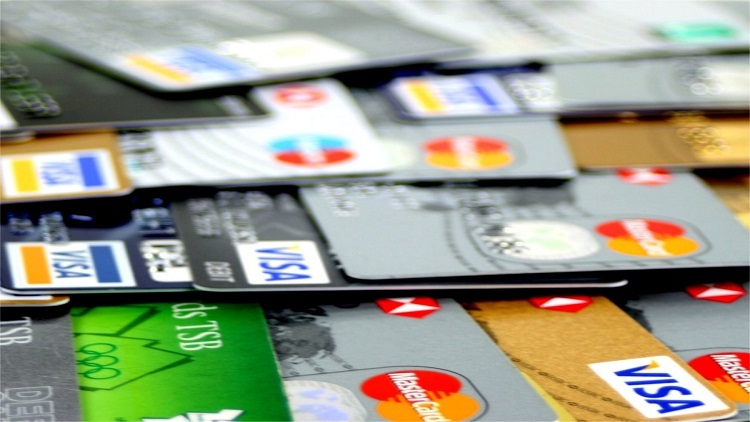 American Express will generally restrict you to four of its cards at any time. Citi's rules are "family" oriented. It limits the number of cards you can have in the American Airlines or ThankYou categories. There are also safeguards against serial smash-and-grab travelers who open the same card more than once. Amex generally limits you to one acquisition bonus per card type ever while Chase and Citi tend to forbid bonuses if you've had the card in the past 24 months. And a unique twist: Now that American Express and Chase will share the combined card portfolio of Marriott, they've worked out rules to stop you from playing one bank against another. I haven't been able to independently confirm the details, but I don't doubt Gary Leff's coverage.